For his Santa Barbara wedding at Elings Park, this groom wore monogrammed cufflinks. 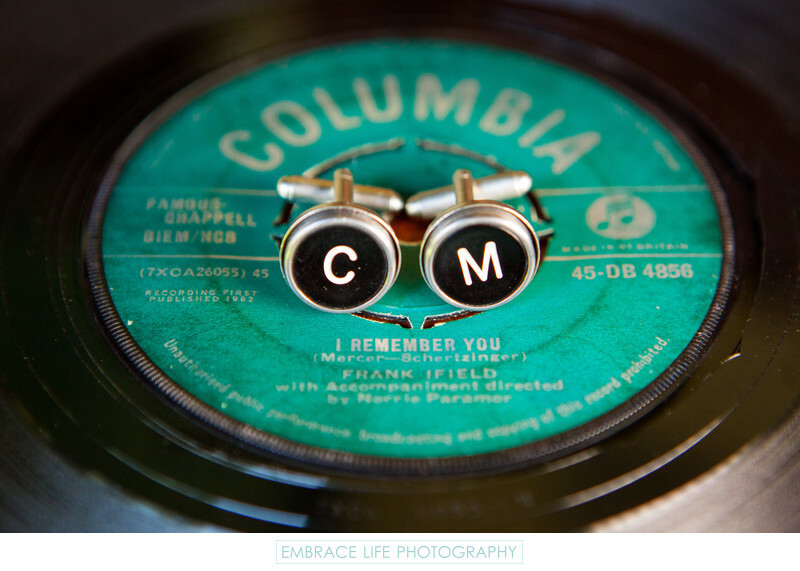 Here they are photographed on a vintage 45 vinyl record which was used as a seating card for the guests. This outdoor wedding in Santa Barbara had many DIY and vintage elements that made it a truly fun and memorable event to photograph.